Now you can remember a special person in a special way. Years ago, the idea of a memorial plaza was conceived to allow every Oklahoman to stake a claim in Oklahoma History. The plaza would allow everyone to have their own personal place at the Capitol to honor family members and friends who have helped build the state. And now it's easy to create that special place with a handsome granite paver. Your 15" x 15" paver will join others that will comprise the memorial plaza and is available to each Oklahoman for simply making a tax-deductible donation to "Friends of the Capitol". Each person who reserves a granite paver in this way will have the name of their honoree engraved on it and set in the vast memorial plaza that will surround the Capitol. After the granite paver is engraved, each donor will be able to find the location through a computerized locator in the Capitol, which will include a personalized biography of their special honoree. This technology will clearly allow each Oklahoman a living record of the men and women who built, and are continuing to build, this great state. 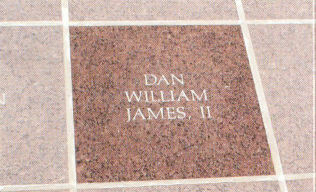 The gift of a paver is a thoughtful and wonderful way to recognize the accomplishments of a special person. This memorial will offer all Oklahomans a chance to be reminded of Oklahoma's history and experience, first-hand, a lasting memorial to the contribution of those who have gone before.